Balance and coordination issues are common among the aging population due to degenerative changes or injuries to the cervical (neck) region. The joint receptors in the cervical spine provide the brain with the necessary information used to trigger balance and coordination. Any interference you experience during the aging process may cause you to lose your sense of awareness, and your steps may become irregular and uneven in length. One of the best ways we can offer to keep balanced and reduce falling incidents is to maintain proper motion and alignment with regular chiropractic care. Falls are a leading cause of hospitalizations for seniors. According to an Australian government site, “the estimated number of hospitalized injury cases due to falls in older people was 83,800″ during 2009-10. The Centers for Disease Control and Prevention (CDC) cites that millions of those age 65 and older fall each year. Chiropractic care may help increase seniors’ balance and coordination and decrease their risk of falls. Feeling good, staying healthy and actively doing what we love are what keeps us looking forward to tomorrow. Regular chiropractic care may help increase your quality of life and your health and well-being. If you’re looking to feel great, sleep through the night, or simply have more energy, schedule an appointment. 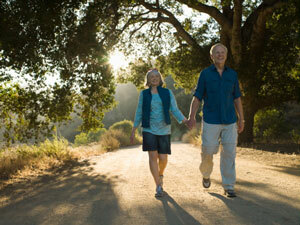 Chiropractic care may be just what you need to help you enjoy revitalized health so your golden years can be glorious.